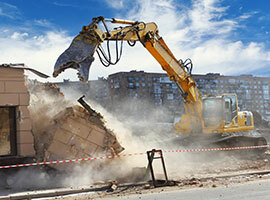 When it comes to Surrey Asbestos Removal, the experts at Urban Environmental continue to be the top rated company for safe removal of Asbestos in Surrey. As the city of Surrey continued to grow, older homes are slowly demolished and replaced with brand new houses. However, with these older houses comes the issue of asbestos, and other dangerous chemicals. Only with Urban Environmental can you be guaranteed complete Surrey Asbestos Abatement. Our team of highly skilled staff will be able to isolate, and remove this dangerous chemical to allow for new buildings, or renovations to continue on schedule and on time. The next time you find asbestos in your next remodel or tear down, make sure to call the professionals in at Urban Environmental. Urban Environmental is the number one name in mold removal, and as such, is the only company to safely remove mold in Surrey the first time. Surrey is a rainforest environment, and as such our climate creates a perfect storm for mold, and mold growth. These molds can grow in your walls, attic and even in your bedroom, and are not necessarily easy to find. With the dangerous side effects including allergies, cancer and a host of other medical issues, mold is not something to wait on. This coupled with its ability to grow at a rapid pace means that mold needs to be handled by true professionals. If you are needing Surrey mold remediation, call the experts at Urban Environmental and get it done right the first time. Since our inception, we here at Urban Environmental have been able to provide our clients with a lot more than just Mold and Asbestos removal. In Surrey we have been the first call from landlords and real estate agents when testing for grow-ops. As well, with the aging population death is a consistent problem in the city of parks. We here at Urban Environmental are the leaders in providing both dead body cleanup, and the matching bio-hazard cleanup that is necessary in some deaths. Times can be tough after a loved one’s death, and it is essential to both the home and the family, to safely remove the body and have it secured in the funeral home. We here at Urban Environmental make sure this happens, and with the upmost respect. Call today, and find out the difference that the people at Urban Environmental can make today.